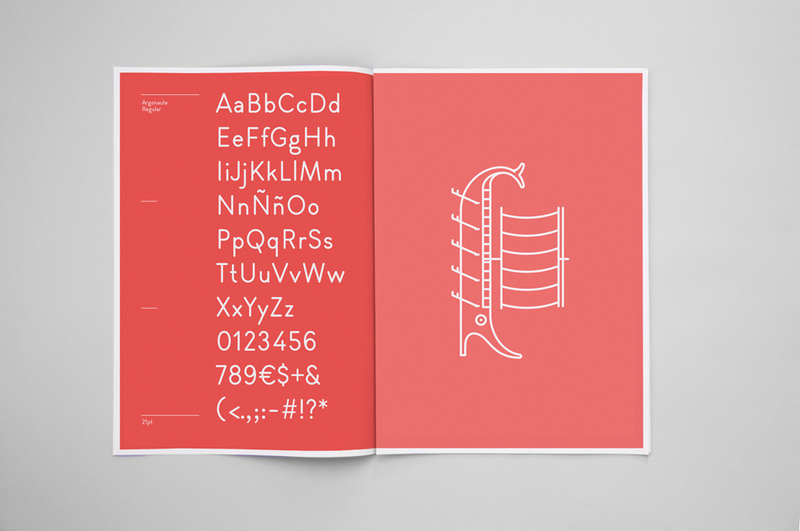 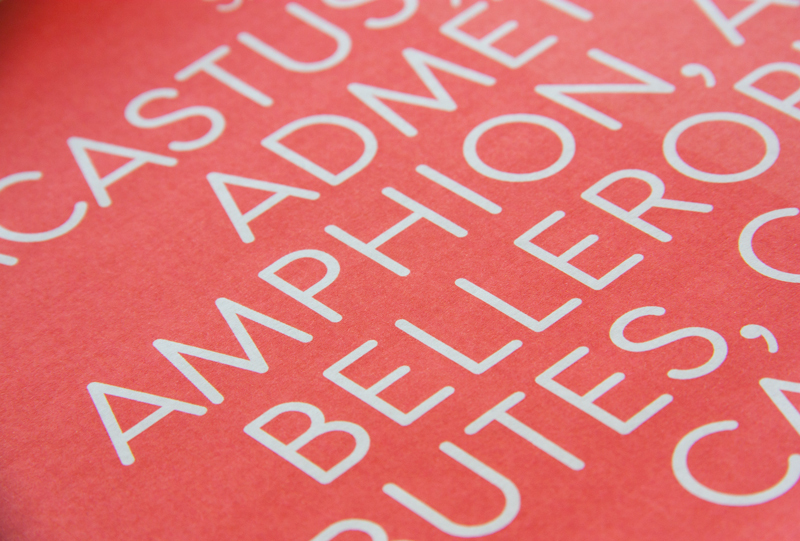 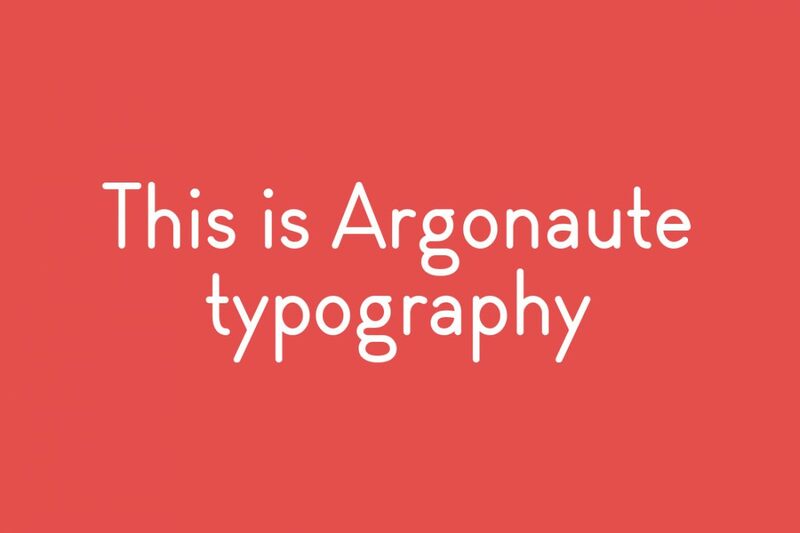 Argonaute typography was born be an informal but distinctly elegant typography. 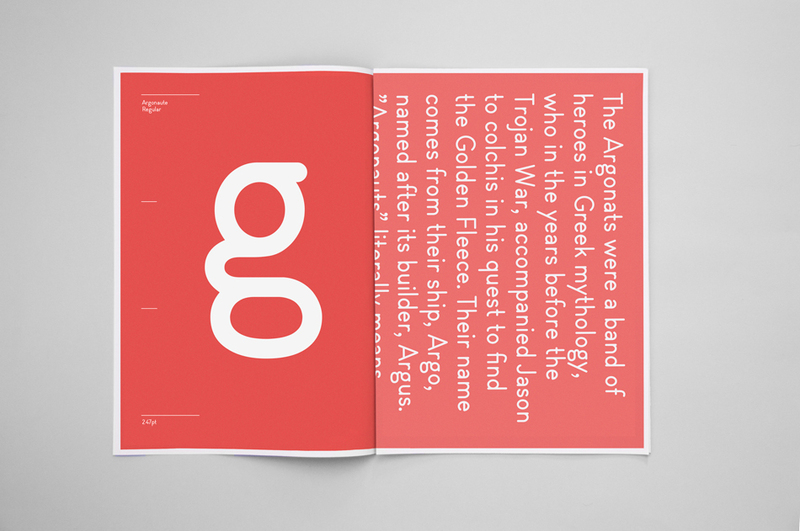 Although influenced by the geometric-style sans serif typefaces that were popular during the 1920s and 30s, Argonaute is inspired by the standardized template lettering that has been highly used in Switzerland for years. 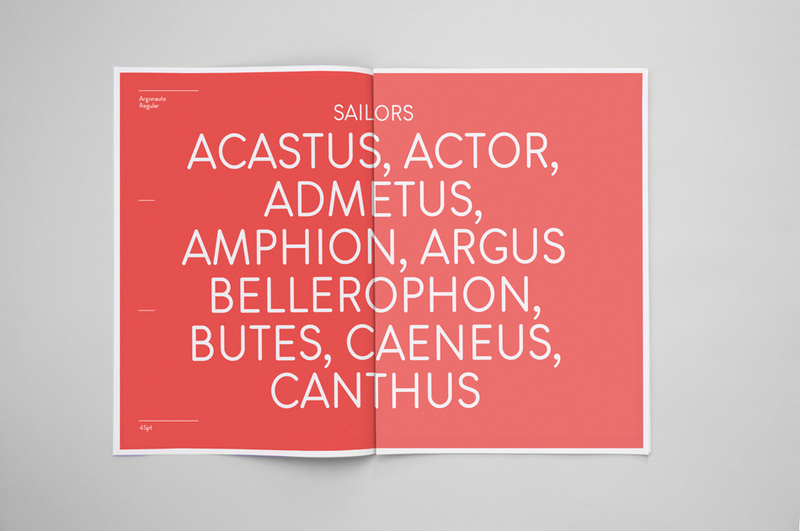 The result gives Argonaute a functional look with an informal touch, resulting in a distinct typography with a contemporary personality.